While fight fans the world over are looking forward to the rematch between middleweight rivals Gennady Golovkin and Canelo Alvarez (the big fight still on for May 5 in Las Vegas as planned, despite Alvarez’ well-documented positive drugs test; for clenbuterol), Irish warrior Gary “Spike” O’Sullivan is looking forward to fighting the Mexican superstar – whether he beats GGG in May or not. According to a piece via Irish-Boxing, O’Sullivan has a fight set for May 4th in Vegas, the night before the big one of course, against a yet to be confirmed opponent, and if he wins it will be Canelo next, in September. O’Sullivan apparently has a deal in place via Golden Boy to face Canelo, in Texas in September, regardless of the outcome of the GGG-Canelo return fight. There are, though, quite a few questions that spring to mind regarding this situation. What if Canelo and GGG II becomes a brutal and damaging fight – how would Canelo be ready to fight again so soon? If the May 5 return turns out to be a classic, and if Canelo wins, will there not be enormous interest/demand for a third fight between the two? How much interest would there/will there be in a Canelo-O’Sullivan fight? O’Sullivan, 27-2(19) is certainly a good fighter, having shown his skill and power in his last fight, when he impressively stopped Antoine Douglas inside seven-rounds in Canada back in December. 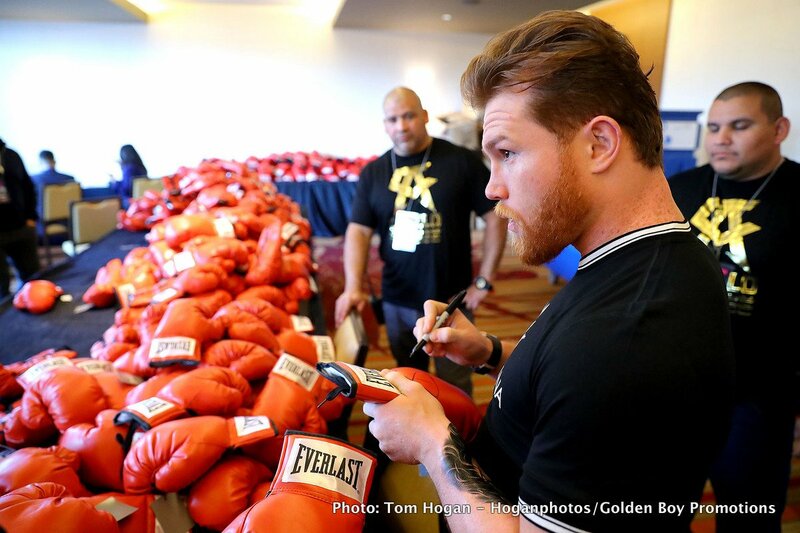 And the Irishman clearly has a major heads up on what Canelo’s plans are for after May 5. The way O’Sullivan tells it, he’ll either be challenging Canelo for all (bar one) of the belts at middleweight this year, or he will be facing a comebacking Canelo in what would still be a big fight.